Beyoncé must be used to seeing people freak out in her presence by now, however it's still fun for the rest of us to get a glimpse of her impact on staunch fans. 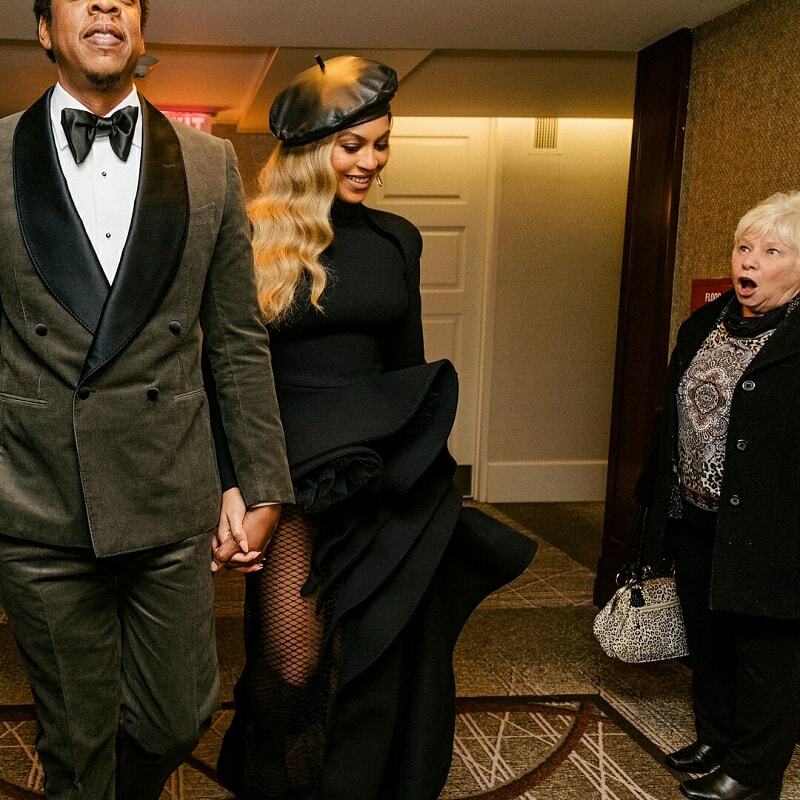 One woman, Susan Monaghan from Boston, went viral over Grammys weekend when her priceless reaction to a chance encounter was captured and shared with millions on Beyoncé's Instagram. 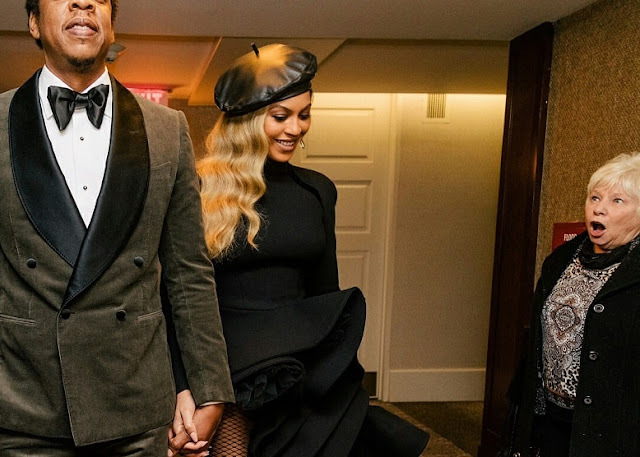 Susan Monaghan (right) during her encounter with JAY-Z and Beyoncé. The picture soon went viral and Monaghan has been chatting with the press about her moment in the spotlight. Monaghan explained that she was in New York with her family last weekend for a birthday party for her daughter and to attend her granddaughter’s gymnastics competition. She was staying in the Sheraton New York Times Square hotel when she ran into Beyoncé and JAY-Z. “I’m thinking in my mind, ‘Who is this?’ And I looked at him and he looked tall, and thin, and had curly hair, and was really good-looking,” she said of the hotel run-in. Asked why she thinks Beyoncé shared the picture on Instagram, Monaghan had this response: “I think she posted it for me,” she said.